I am not so enamored of my own opinions that I disregard what others may think of them. ... Yet I hold that completely erroneous views should be shunned. Surely all this must be a pleasing and acceptable mode of worship to the Most High, to whom ignorance cannot be more grateful than knowledge. The sun is not inappropriately called by some people the lantern of the universe, its mind by others, and its ruler by still others. The Thrice Greatest labels it a visible god, and Sophocles' Electra, the all-seeing. Thus indeed, as though seated on a royal throne, the sun governs the family of planets revolving around it. Near the sun is the center of the universe. Moreover, since the sun remains stationary, whatever appears as a motion of the sun is really due rather to the motion of the earth. For I am not so enamored of my own opinions that I disregard what others may think of them. I am aware that a philosopher's ideas are not subject to the judgment of ordinary persons, because it is his endeavor to seek the truth in all things, to the extent permitted to human reason by God. Yet I hold that completely erroneous views should be shunned. Those who know that the consensus of many centuries has sanctioned the conception that the earth remains at rest in the middle of the heaven as its center would, I reflected, regard it as an insane pronouncement if I made the opposite assertion that the earth moves. When, therefore, I had long considered this uncertainty of traditional mathematics, it began to weary me that no more definite explanation of the movement of the world-machine established in our behalf by the best and most systematic builder of all, existed among the philosophers who had studied so exactly in other respects the minutest details in regard to the sphere. Wherefore I took upon myself the task of re-reading the books of all the philosophers which I could obtain, to seek out whether any one had ever conjectured that the motions of the spheres of the universe were other than they supposed who taught mathematics in the schools. And I found first, that, according to Cicero, Nicetas [assumed by modern editors to mean Hicetas] had thought the earth was moved. Then later I discovered, according to Plutarch, that certain others had held the same opinion. ... When from this, therefore, I had conceived its possibility, I myself also began to meditate upon the mobility of the earth. And although the opinion seemed absurd, yet because I knew the liberty had been accorded to others before me of imagining whatsoever circles they pleased to explain the phenomena of the stars, I thought I also might readily be allowed to experiment whether, by supposing the earth to have some motion, stronger demonstrations than those of the others could be found as to the revolution of the celestial sphere. Thus, supposing these motions which I attribute to the earth later on in this book, I found at length by much and long observation, that if the motions of the other planets were added to the rotation of the earth and calculated as for the revolution of that planet, not only the phenomena of the others followed from this, but also it so bound together both the order and magnitude of all the planets and the spheres and the heaven itself, that in no single part could one thing be altered without confusion among the other parts and in all the universe. Hence for this reason in the course of this work I have followed this system. Nor do I doubt that skilled and scholarly mathematicians will agree with me if, what philosophy requires from the beginning, they will examine and judge, not casually but deeply, what I have gathered together in this book to prove these things. ...Mathematics is written for mathematicians, to whom these my labours, if I am not mistaken, will appear to contribute something. ...What... I may have achieved in this, I leave to the decision of your Holiness especially, and to all other learned mathematicians. ...If perchance there should be foolish speakers who, together with those ignorant of all mathematics, will take it upon themselves to decide concerning these things, and because of some place in the Scriptures wickedly distorted to their purpose, should dare to assail this my work, they are of no importance to me, to such an extent do I despise their judgment as rash. Those who devised the eccentrics seen thereby in large measure to have solved the problem of apparent motions with approximate calculations. But meanwhile they introduced a good many ideas which apparently contradict the first principles of uniform motion. Nor could they elicit or deduce from the eccentrics the principal consideration, that is, the structure of the universe and the true symmetry of its parts. On the contrary, their experience was just like someone taking from various places hands, feet, a head, and other pieces, very well depicted it may be, but for the representation of a single person; since these fragments would not belong to one another at all, a monster rather than a man would be put together from them. Preface Letter to Pope Paul III, Tr. E. Rosen, De Revolutionibus Orbium Coelestium (1978) pp. 4-7. What indeed is more beautiful than heaven, which of course contains all things of beauty. At rest, however, in the middle of everything is the sun. For, in this most beautiful temple, who would place this lamp in another or better position than that from which it can light up the whole thing at the same time? For, the sun is not inappropriately called by some people the lantern of the universe, its mind by others, and its ruler by still others. The Thrice Greatest labels it a visible god, and Sophocles' Electra, the all-seeing. Thus indeed, as though seated on a royal throne, the sun governs the family of planets revolving around it. Alternate translation: Then in the middle of all stands the sun. For who, in our most beautiful temple, could set this light in another or better place, than that from which it can at once illuminate the whole? Not to speak of the fact that not unfittingly do some call it the light of the world, others the soul, still others the governor. Tremigistus calls it the visible God; Sophocles' Electra, the All-seer. And in fact does the sun, seated on his royal throne, guide his family of planets as they circle round him. We find then in this arrangement an admirable harmony of the world, and a dependable, harmonious interconnexion of the motion and the size of the paths, such as otherwise cannot be discovered. For here the penetrating observer can note why the forward and the retrograde movement of Jupiter appears greater than that of Saturn, and smaller than that of Mars, and again greater with Venus than with Mercury; and why such retrogression appears oftener with Saturn than with Jupiter, less often with Mars and Venus than with Mercury. Moreover, why Saturn, Jupiter, and Mars, when they rise in the evening, appear greater than when they disappear and reappear [with the sun] . . . And all this results from the same cause, namely the motion of the earth. The forward and backward arcs appear greater in Jupiter than in Saturn and smaller than in Mars, and on the other hand greater in Venus than in Mercury. This reversal in direction appears more frequently in Saturn than in Jupiter, and also more rarely in Mars and Venus than in Mercury. Moreover, when Saturn, Jupiter, and Mars rise at sunset, they are nearer to the earth than when they set in the evening or appear at a later hour. But Mars in particular, when it shines all night, seems to equal Jupiter in size, being distinguished only by its reddish color. Yet in the other configurations it is found barely among the stars of the second magnitude, being recognized by those who track it with assiduous observations. All these phenomena proceed from the same cause, which is the earth's motion. Yet none of these phenomena appears in the fixed stars. This proves their immense height, which makes even the sphere of the annual motion, or its reflection, vanish from before our eyes. For, every visible object has some measure of distance beyond which it is no longer seen, as is demonstrated in optics. From Saturn, the highest of the planets, to the sphere of the fixed stars there is an additional gap of the largest size. This is shown by the twinkling lights of the stars. By this token in particular they are distinguished from the planets, for there had to be a very great difference between what moves and what does not move. So vast, without any question, is the divine handiwork of the most excellent Almighty. End of Ch. 10; the "Congregation of the Index" (the official inquisition censors) declared that the last sentence of this statement was one of eleven passages which should be removed from the work, in this case because it was perceived as implying that God designed things in accord with the Copernican system, rather than that of Ptolemy. Therefore alongside the ancient hypotheses, which are no more probable, let us permit these new hypotheses also to become known, especially since they are admirable as well as simple and bring with them a huge treasure of very skillful observations. So far as hypotheses are concerned, let no one expect anything certain from astronomy, which cannot furnish it, lest he accept as the truth ideas conceived for another purpose, and depart from this study a greater fool than when he entered it. The nationality question has been a subject of various writings; an honoring controversy over the claim to the founder of our current world view is conducted between Poles and Germans, but as already mentioned nothing certain can be determined concerning the nationality of Copernicus' parents; the father seems to have been of Slavic birth, the mother German; he was born in a city whose municipal authorities and educated inhabitants were Germans, but which at the time of his birth was under Polish rule; he studied at the Polish capital, Krakau, then in Italy, and lived out his days as a canon in Frauenburg; he wrote Latin and German. In science, he is a man who belongs to no single nation, whose labors and strivings belong to the whole world, and in C. we do not honor the Pole nor the German, but the man of free spirit, the great astronomer, the father of the new astronomy, the originator of the true Weltanschauung (world view). The division of the seamless garment of Christendom into separate nations or sovereign states, which today we accept as a matter of course, was then only beginning. And the idea that people belong to all sorts of different races, with boasts of racial "purity" or "superiority", is something that has come up practically within the memories of people still alive. Hence if the astronomer had been asked concerning his race and nation, he might have replied that he was a loyal son of the Church, but otherwise would scarcely have understood the questions. Even for us today it is not an easy question to answer. Torun was founded by Germans; its leading citizens, like those of Cracow, were mostly Germans. Hence the astronomer may well have been of German extraction. The possible connection of the family on both sides with Silesia does not prove much either way for its population was a mixed one. On the other hand, the ancestors, especially on the father's side, must have lived for so many generations under allegiance to the King of Poland as to be, for all practical purposes, Poles. And Copernicus followed the family tradition in siding with the Poles against the Germans in times of crisis. In any case, it was Poland, and Cracow above all, that first nourished the youthful genius of Copernicus. And since his death it is chiefly the Poles who have gloried in their share in him, and have cherished the renown his achievements have brought to their heroic and ill-starred nation. Angus Armitage, British Copernican scholar, in "Sun, Stand Thou Still: The Life and Work of Copernicus, the Astronomer" of 1947. The title of later editions was shorted to "The World of Copernicus". He was a man of grave and cultivated mind, of rapid and mature intelligence; inferior to no preceding astronomer, unless in order of succession and time ; a man, who in natural ability was far superior to Ptolemy, Hipparchus, Eudoxus, and all those others who followed in their footsteps. What he was, he became through having liberated himself from certain false axioms of the common and vulgar philosophy — I will not say blindness. Nevertheless, he did not depart far from them ; because, studying mathematics rather than Nature, he failed to penetrate and dig deep enough altogether to cut away the roots of incongruous and vain principles, and thus, removing perfectly all opposing difficulties, free himself and others from so many empty investigations into things obvious and unchangeable. In spite of all this, who can sufficiently praise the magnanimity of this German, who, having little regard to the foolish multitude, stood firm against the torrent of contrary opinion, and, although well-nigh unarmed with living arguments, resuming those rusty and neglected fragments which antiquity had transmitted to him, polished, repaired, and put them together with reasonings more mathematical than philosophical ; and so rendered that cause formerly contemned and contemptible, honourable, estimable, more probable than its rival, and certainly convenient and expeditious for purposes of theory and calculation ? Thus this Teuton, although with means insufficient to vanquish, overthrow, and suppress falsehood, as well as resist it, nevertheless resolutely determined in his own mind, and openly confessed this final and necessary conclusion : that it is more possible that this globe should move with regard to the universe, than that the innumerable multitude of bodies, many of which are known to be greater and more magnificent than our earth, should be compelled, in spite of Nature and reason, which, by means of motions evident to the senses, proclaim the contrary, to acknowledge this globe as the centre and base of their revolutions and influences. Who then will be so churlish and discourteous towards the efforts of this man, as to cover with oblivion all he has done, by being ordained of the Gods as an Aurora - which was to precede the rising of this Sun of the true, ancient philosophy, buried during so many centuries in the tenebrous caverns of blind, malignant, froward, envious ignorance ; and, taking note only of what he failed to accomplish, rank him amongst the number of the herded multitude, which discourses, guides itself, precipitates to destruction, according to the oral sense of a brutal and ignoble belief, rather than amongst those who, by the use of right reason, have been able to rise up, and resume the true course under the faithful guidance of the eye of divine intelligence. He had himself become convinced that the whole universe was made of numbers, hence whatever was mathematically true was really or astronomically true. Our earth was no exception it, too, was essentially geometrical in nature therefore the principle of relativity of mathematical values applied to man's domain just as to any other part of the astronomical realm. The transformation to the new world-view, for him, was nothing but a mathematical reduction... of a complex geometrical labyrinth into a beautifully simple and harmonious system. Copernicus had formed a rudimentary conception of scientific hypothesis, accommodated to his new astronomical method. A true hypothesis is one which binds together rationally... things which had before been held distinct; it reveals the reason, in terms of that which unites them, why they are as they are. The Copernican theory contains many absurd or erroneous assertions. Copernicus entered the University of Bologna, as a student of canon law, at the opening of the winter term of 1496-7. The occurrence of his name in the annals of the 'Natio Germanorum' must be regarded as a strong point in favour of the upholders of his Teutonic origin. Indeed, taken in connexion with his unquestioned use of German as his mother-tongue, it might — at least by impartial outsiders possessing intelligence of the ordinary blunt, though serviceable type — be fairly held to terminate the controversy. This, however, seems beyond hope. Controversies rarely die save of inanition. For adverse facts they not unfrequently prove to have the digestion of ostriches. And in the present instance, where common sense and technical argument might be said to be arrayed one against the other, it is plain that the view taken depends, in great measure, upon the natural bias of the mind. He is the supreme example of a man who revolutionized science by looking at the old facts in a new way. What Luther's burning of the Papal Bull was in the religious field, in the field of natural science was the great work of Copernicus, in which he, although timidly... threw down a challenge to ecclesiastical superstition. From then on natural science was in essence emancipated from religion, although the complete settlement of accounts in all details has gone on to the present day and in many minds is still far from being complete. But from then on the development of science went forward with giant strides, increasing, so to speak, proportionately to the square of the distance in time from its point of departure, as if it wanted to show the world that for the motion of the highest product of organic matter, the human mind, the law that holds good is the reverse of that for the motion of inorganic matter. It was Copernicus who by his work showed us how fragile time-honored scientific conceptions can be. Of all discoveries and opinions, none may have exerted a greater effect on the human spirit than the doctrine of Copernicus. The world had scarcely become known as round and complete in itself when it was asked to waive the tremendous privilege of being the center of the universe. Never, perhaps, was a greater demand made on mankind — for by this admission so many things vanished in mist and smoke! What became of our Eden, our world of innocence, piety and poetry; the testimony of the senses; the conviction of a poetic — religious faith? No wonder his contemporaries did not wish to let all this go and offered every possible resistance to a doctrine which in its converts authorized and demanded a freedom of view and greatness of thought so far unknown, indeed not even dreamed of. I thought that this auction with other nations for geniuses and heroes, for merits and cultural achievement, was really quite awkward from the point of view of propaganda tactics because with our half-French Chopin and not quite native Copernicus, we cannot compete with the Italians, French, Germans, English, or Russians. Therefore, it is exactly this approach that condemns us to inferiority. The beginning of astronomy, except observations, I think is not to be derived from farther time than from Nicolaus Copernicus; who in the age next preceding the present revived the opinion of Pythagoras, Aristarchus, and Philolaus. When printed, the book was accepted by the holy Church and it has been read and studied by everyone without the faintest hint of any objection ever being conceived against its doctrines. Yet now that manifest experiences and necessary proofs have shown them to be well grounded, persons exist who would strip the author of his reward without so much as looking at his book. About the Copernicus' book De revolutionibus orbium coelestium (On the Revolutions of the Heavenly Spheres). As quoted in Joel Warren Lidz (1983), Philosophy, being, and the good: an historical anthology, University Press of America, p. 209. Certain people believe it is a marvelous achievement to extol so crazy a thing, like that Polish astronomer who makes the earth move and the sun stand still. Really, wise governments ought to repress impudence of mind. Philipp Melanchthon in a letter to Burkard Mithoff, 16.10.1541.
Who nere before it found. It gave me pleasure to contemplate the right of the Polish nobleman to upset with his simple veto the determinations of a [parliamentary] session; and the Pole Copernicus seemed to have made of this right against the determinations and presentations of other people, the greatest and worthiest use. On the five-hundred-thirtieth anniversary of the birth, and the four-hundred-sixtieth anniversary of the death, of Mikołaj Kopernik, the Senate of the Polish Republic expresses its highest esteem and praise for this exceptional Pole, one of the greatest scientists in world history. Mikołaj Kopernik, world-famous astronomer and author of the landmark work, De revolutionibus orbium coelestium, "stopped the Sun and moved the Earth." He distinguished himself for Poland as an exceptional mathematician, economist, lawyer, physician and priest, as well as defender of Olsztyn Castle during the Polish-Teutonic war. May the memory of his achievements endure and be a source of inspiration to future generations. Poles and Germans have a common history of great scientists: Today we no longer perceive Copernicus, Hevelius, Schopenhauer and Fahrenheit as the property of one nation but as representatives of one transnational culture. Johannes Rau, President of Germany (1999-2004), in a 1999 address to the Polish people, in Public Speeches and Addresses (September 1999). It was not only... with classical antiquity that Copernicus showed himself a man of the Renaissance. He also strove to achieve the many-sided accomplishments of that humanistic ideal, the universal man. He was competent in canon law; he practiced medicine; he wrote a tract on coinage; he served his cathedral chapter as an administrator and diplomatic representative; he painted his own portrait; he made many of his own astronomical instruments; and he established the heliocentric system on a firm basis. 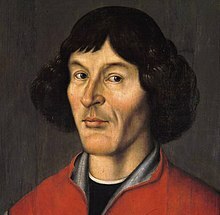 Germans and Poles have bitterly disputed the question of Copernicus's ethnic origin, each national group claiming the distinguished astronomer for its own. Where does the truth lie in this controversy? Politically, Copernicus was a subject of the king of Poland; he remained loyal to the Roman Catholic church ; and he wrote chiefly in Latin, but a few of his private letters were composed in German. Copernicus made his revolutionary suggestion on purely theoretical grounds. The invention of the telescope came after and not before, the publication of his great work. This is a fact upon which we may well ponder, for it shows that the insight into natural phenomena has come as much from the genius of the theoretical as from that of the experimental and observational investigator.